It’s the first Woman Crush Wednesday of 2017! Here we go! For anyone new, this is the day I shower some love on a female foodie! 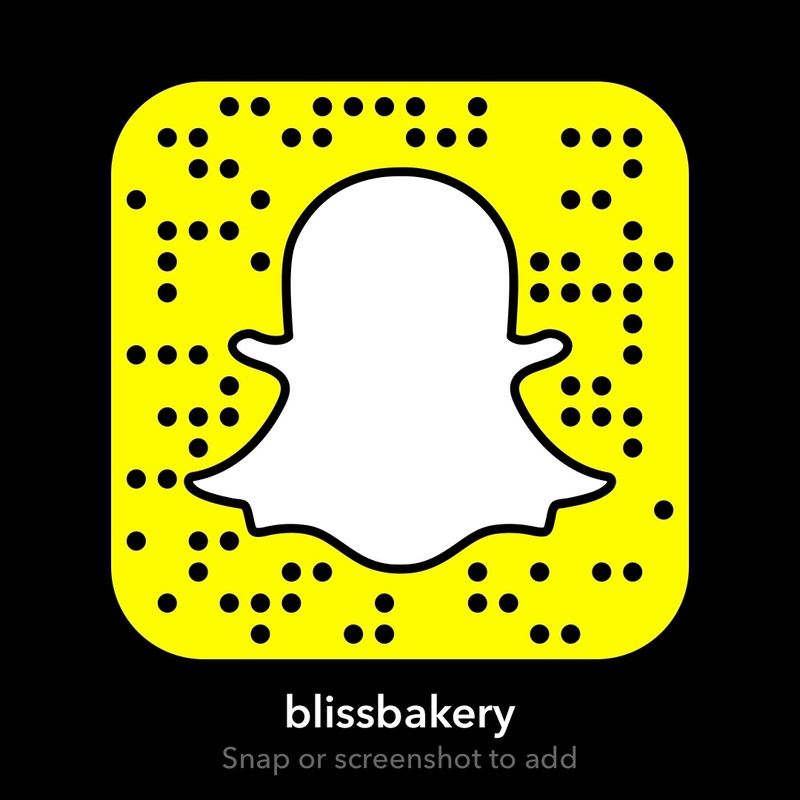 Not only through this post, but also on my Snapchat (username blissbakery) where I recreate one of her recipes live. It is always a recipe that I have never made before just to show how it all comes together. But from the looks of it, this is going to be an awesome one! Because today’s honoree is the awesome Katie Lee. 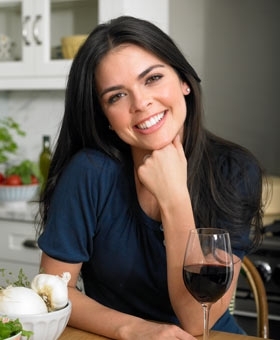 Katie is an American television chef and critic starring in the Food Network’s popular show “The Kitchen” among others programs. She is also a writer (with three cookbooks and one novel under her belt ) who lives in New York. However Katie is originally from West Virginia and has said her mom was always serving up healthy food. Well that could be why Katie looks so radiant! Well done to her mom! 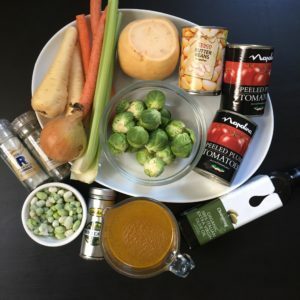 In fact, this recipe for Vegetable Soup is credited to Katie’s mom! I’m so excited to try it as I’ve never had Brussels sprouts in a soup before. Heat the oil in a stock pot over medium heat. Add the onions, celery, and bay leaf and cook until the onions are tender, about 5 minutes. Add the carrots, parsnips, turnip, and Brussels sprouts and continue cooking until the vegetables are just tender, about 5 more minutes. Add the tomatoes and their juices and the stock. Bring the mixture to a boil, reduce the heat, cover, simmer for 1 hour. Add the beans, salt, and pepper, and simmer for another 30 minutes. This recipe is so easy to follow and is beyond delicious! It tastes so nutritious as well, which is perfect in January when everyone is still on a food indulgence hangover. In fact, homemade soups like this are a great way to give our digestion a little break from processed foods and feed it a powerhouse of natural vitamins! The only thing hindering anyone is time. It does take time to shop and prep the veg, but other than that this soup does the work on its own. The house smells amazing after and the good news is there will be soup for days! The subtle bay leaf is the only herb or spice, so this is a nice soup for kids too. And it fits in with Katie’s ethos on comfort food, which we need here in London right now as it’s so cold. 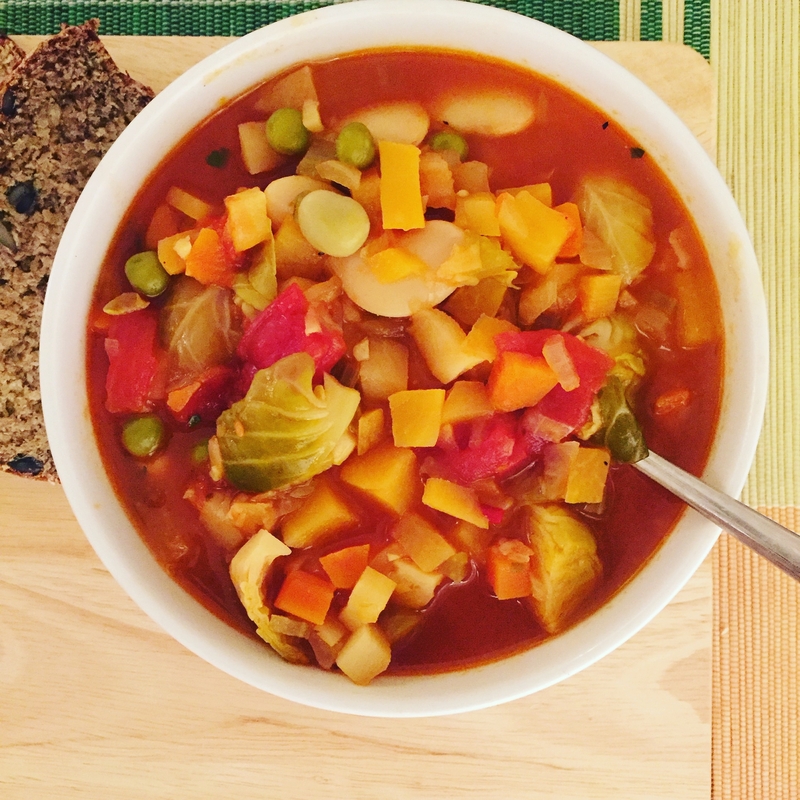 This soup will do the trick to warm up the insides! Besides being a culinary queen, Katie is a philanthropic angel. She has volunteered for numerous charities but the one she is most involved currently is Feeding America. They are a nationwide network of food banks and soup kitchens that feed those in America that need help. It is such a worthwhile cause and one that I personally benefitted from when I was child in need. Though Katie obviously lives a “rock star chef” life traveling the world surfing , filming television shows and socializing with other celebrities in the Hamptons, she has shown her humanity time and again. Thanks Katie for being an inspiration!